Chocolate Cherry Biscotti – Voila! This recipe comes to us from the daily green. These are quick and easy to make and have proved to be a fabulous friend to coffee or tea, or a good mid-morning snack. Biscotti are one of my favorite coffee shop pastries so it was a joy to try to make them myself! I improvised a bit with this recipe, as noted by the italics. 1. Grease and flour large cookie sheet. In medium bowl, stir together flour, cocoa, baking powder, and salt (optional). 2. In a separate large bowl, with mixer or manually, beat sugar and butter until creamy. Reduce speed to low; add eggs one at a time, beating after each addition. Beat in melted chocolate until blended. 3. Dissolve espresso-coffee grinds in water; add to chocolate mixture. 4. Add flour mixture and beat until blended. With hands, knead in cherries until combined. 5. Divide dough in half and place each half on baking sheet, creating two logs of batters. Bake about 30 minutes. 6. Biscotti logs should be cooked on top and soft in the middle. Remove from the oven and allow to cool enough to handle. 7. Cut each log diagonally to create 1-2 inch thick slices. Place slices on their side on the cookie sheet. Bake for another 15-20 minutes, turning slices over about half way through so both sides get crunchy. Take the biscotti pieces out of the oven, and voila! you’re done and ready to enjoy! Post-baking thoughts: Since the biscotti logs are cooked all the way through after the first 30 minutes in the oven, I wonder what it would be like to NOT put them back in. Instead slice them as the recipe says, but have softer, chewier biscotti’s instead. If any of you try that, let me know how it turns out. Previous Post Capellini Pasta Surprise! 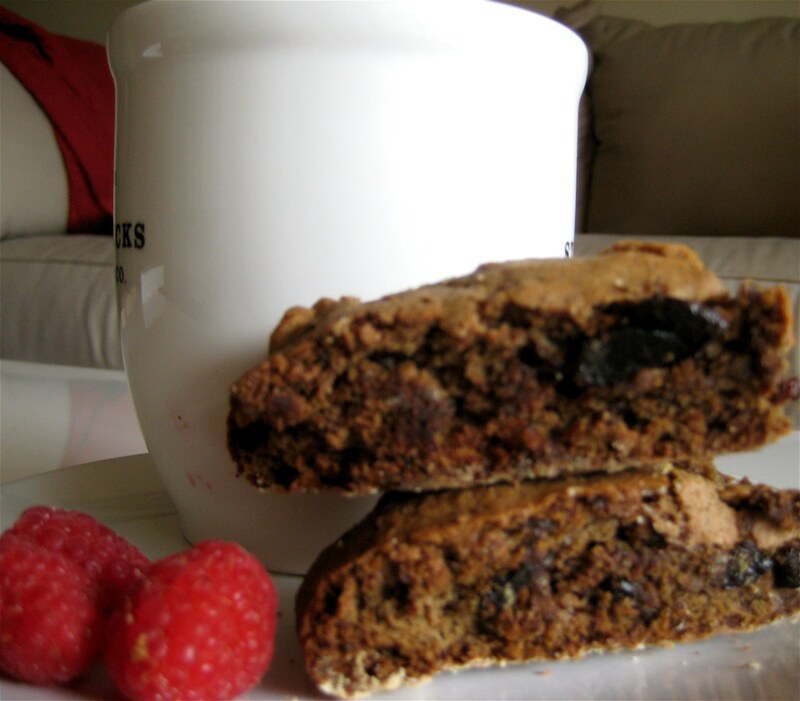 Hey Emily, love your blog and great biscotti recipe. I’m going to give it a try. Salt aids the rise, works with the baking powder. You don’t have to double bake them, but it will be a more cake like consistency. We actually have a Sicilian family recipe for biscotti (more like breakfast treats) that aren’t double baked. Enjoy your Raleigh weekend!!!!!! Pingback: More Than Just A Cookie « Voila! We assist newcomers to perfect their skills for street or urban photography. As soon as i obtained this kind of buy firefall gold, i personally declined in love. i had been there meant for 3 1/2 many it really is excellent. simply put i also dependable inside perfect a variety of intervals and it appears superb, absolutely no moisture and / or a single thing. products i’d personally think are that whenever ages it all looses it’s fluffy-ness, but yet which happens to virtually all buy firefall gold anyway. i really adore it, it is awesome! it is also Highly eye-catching. i may definetely produce these individuals right up until they will fall off a legs, which are many years.